Another weekend has gone by and another game without a win. As to be expected, there are fans on social media who are already calling for the head of Gianfranco Zola. 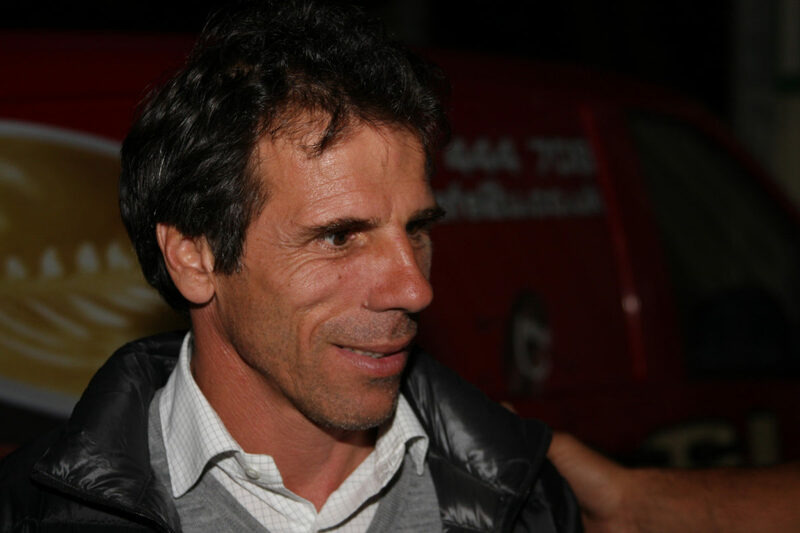 TTA made a ballsy decision replacing Gary Rowett with Zola – will they be forced to make another one soon? I’m not a fan of the hire ’em and fire ’em culture. While it’s not hard to understand why some fans want rid of Zola, I do wonder if we’re falling into the trap of demanding immediate success. Unlike his predecessor, Zola has a hard act to follow. When Rowett came in to replace Clark, Blues were in a complete mess. The team had been humped 8-0 by Bournemouth following Clark’s sacking and morale was at it’s lowest ebb. Rowett came in, organised the team and immediately gave the fans something to cheer about. When Zola came in Blues weren’t doing too badly. The team were picking up points – although performances hadn’t been great. There had been times when Blues had looked lacklustre but this was forgiven because of what had transpired before. The results have not come for Zola since his appointment and it appears that the players are taking a long time to adapt to the change in tactics. As they struggle, the team has lost ground – indeed, the playoffs are almost a write-off now it seems. Is it time for another ballsy decision from TTA to decide to cut their losses and to try again with another coach? I might be out of step with some here, but I think it absolutely is not that time. There’s a few reasons for this – but the chief one is I do not believe change now will improve things markedly. Some will point to Swansea City, who binned off Bob Bradley after just 11 games and 86 days. Since that decision they’ve won a couple of games and are no longer leaking goals like it’s going out of fashion. The appointment of Paul Clement seems a good one. I do not believe this would happen at Blues. A change of manager would no doubt instigate another change of tactical ideas. A new manager would not have the benefit of transfer funds to change the team – he’d be forced to work with what he has. Most of all, however, I believe Trillion Trophy Asia would not look to the kind of manager the “Zola Out” types would want. TTA considered at least five managers before appointing Zola. While I do not know how far that consideration went, there was definitely a decision to go with a certain type of manager. Unfortunately, at this time it’s difficult for me to name the other four names I heard that were under consideration – what I can say is that all but one of them was foreign and of the five, I would have taken Zola as the best choice. All of them have a reputation for playing “nice football” and would have changed things in the way Zola has. I think the ballsy decision right now for TTA is trust their judgement. While the results haven’t been there we have yet to see the impact of three new players – Emilio Nsue, Cheick Keita and Kerim Frei – on the team. I’m fairly confident that the inclusion of these new players will see Blues change their tactics slightly to make best use of the common ingredient of all three players – pace – and that until we’ve seen how well Blues do with these in the lineup, it’s difficult to judge things. I firmly believe promotion would not have happened under Gary Rowett. I think a top ten finish would have been likely with a continued organised approach but I don’t think it would have gone any further. I also believe promotion won’t happen under Zola this season. However, if we start picking up results and look like a threat then I think he would absolutely deserve a true crack at it next season. If the signings Blues have made look like they will add a totally new dimension going forwards then the plan might have been right all along. The worst thing that can happen right now is that TTA act like some of the other horror show foreign owners we have seen in this division. Calmness and reason must prevail if they are to make a success of Blues going forwards.